Master Lau’s herbal remedies have treated a wide variety of conditions that are often thought to be incurable, including eczema, tiredness, digestive problem, cystitis, migraines and weak immune system. However, dealing with hayfever is one of his specialities. so much so, he was interviewed in Hyde Park about the subject, for a Chinese TV station (C.N.E.). There is a lot more to hayfever than just an allergy to pollen. A ever, Chinese Herbal Medicine seeks to cure the causes of an ailment, not just the symptoms. In the case of hayfever the symptoms vary from person to person. Some people have a running nose and with others the emphasis is on sneezing and itching eyes. Even the symptoms associated with running noses differ widely. Some noses run thin and clear whereas others produce thicker, yellow mucus. In some cases hayfever can also cause nosebleeds, hot face and body. The symptoms vary widely because the causes vary widely- that is, they aren’t just caused by pollen. Because of this, the herbal remedies used also differ considerably. Those with clear running noses often feel cold. However, there is nothing wrong with the nose itself. The cause of problem is actually in the lungs. Their lungs have become chilled and the lung energy is unbalanced. 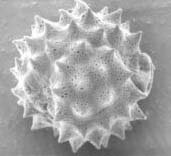 This can be caused by things like a change in the weather or climate which weaken the immune system. 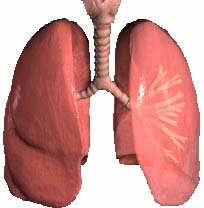 The nose is said to be the ‘window of the lungs’ and is where the condition of the lungs can be observed. For example, dry, crusty nostrils are caused by a deficiency of yin energy in the lungs. Those with thicker, yellow mucus in their nose often feel hot, thirsty and tend to sweat more than usual. Their urine tends to be more yellow in colour and often smells more strongly. In this instance the symptoms relate to a dry and heated lung and require a completely different remedy to the first one. People with red or itching eyes can also have an additional problem with the liver. The eyes are said to be the window of the liver and a different remedy to balance the liver energy would be given in this case. Chinese herbal hayfever remedies are effective because they work on re-balancing the affected organs as opposed to working on the symptoms. For example, a decongestant will clear a blocked nose and allow you to breathe more easily, but it won’t have any effect on the organ causing the problem. Conversely, herbal medicine won’t balance the nose and prevent sneezing but instead re-balance the lung and stop the cause of the sneezing. If you have been known to suffer from hayever symptoms. Given the increase in problems associated with hayfever at this time of year, I thought I would let you know that I have an effective, natural herbal remedy available at the Centre. If you, or anyone else you know, would be interested in trying this side-effect free treatment, please feel free to contact me on 0207 581 1118.